Windstream is a telecommunication service provider of voice and data. It was founded in 2006 and its headquarter is in Little rock, Arkansas, US. It has coverage in 21 states and serving more than 8 million people. 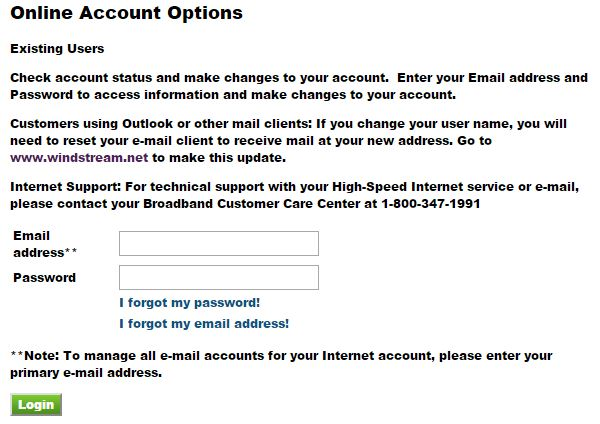 Windstream email login service is provided to its each and every customers. 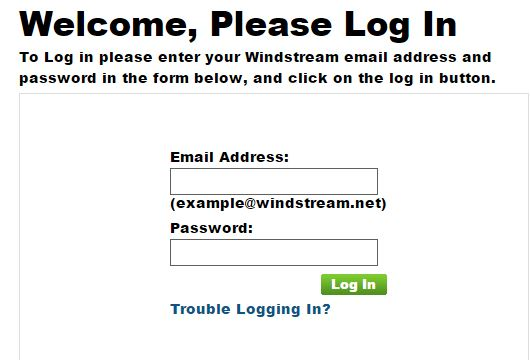 To login to Windstream webmail, first, go to the official websites of Windstream. The official website of Windstream is http://www.windstream.net/. For webmail login, click on email as shown in the figure below. A login page will open in new window. Enter your email address first. Then, enter your password. Click on Login. Then, your webmail will get logged in. Check your email address and password carefully while typing, otherwise one small mistake will not allow you to sign in your account. If your webmail is not getting logged in, it may be due to your wrong email address or your password. So, first check your email address and password. Also, check the internet connection. Sometimes, your internet connection might trouble you in logging your account. If you are still having a problem, then click on trouble logging in. A password reset page will open as shown in the figure. Enter your primary email address. Enter the password of your primary email address. Click login. If you have forgotten your primary email address, click on I forgot my email address. To retrieve your email address, enter your account number first. Then, enter your billing telephone number. Click Ok. Then follow the remaining steps carefully to get your email address back. If you have lost your password, then click on I forgot my password. A password reset page will open. Enter your email address. Click ok. Now, you will receive an email notification. Check your email inbox and open the mail. You will get a password reset link in the mail. Click on the link and a new password reset page will open. Now, follow the remaining steps carefully to reset your password. After resetting your password, you can log in to your account with your new password. If you are a new user and you haven’t created your Windstream email, then, you have to create a new one to get access to webmail service. 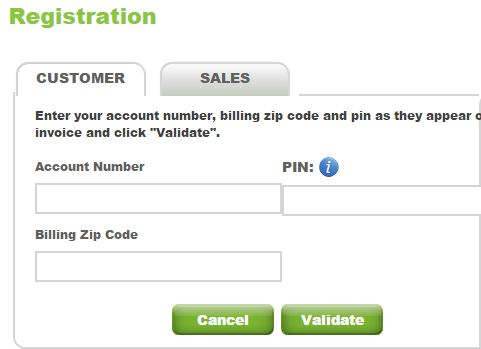 For registration of new Windstream email, enter the web address https://www.windstreamonline.com/pol/Registration.action. You can also directly click on the link given here. A registration page will open as shown in the figure below. Now, choose the account you want open. Two type of account is available. They are customer and sales. Enter your account number first. Then, enter your PIN number. Your PIN number is on your invoice. Then enter billing zip code. After that click on validate. Then follow the remaining instructions to complete your registration. 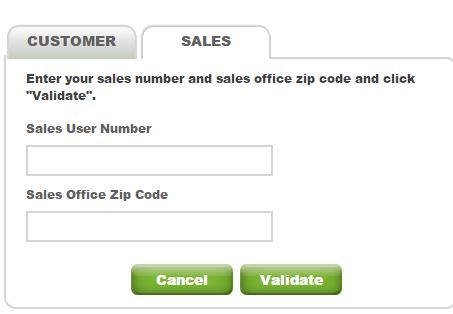 To create your sales account, enter your sales user number. Then, enter your sales office zip code. Then, Click on Validate to proceed. After that follow the remaining procedures carefully to complete your registration process.